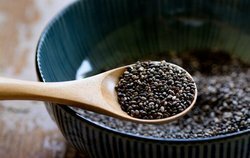 We are a leading Wholesale Trader of chia seed, wheat grass, barley grass and garlic powder / granules from Mumbai, India. Keeping the track of evolving consumer needs, we are instrumental in cultivating the highly effective Wheat Grass. 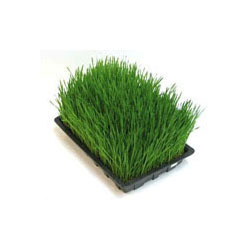 Since it’s a rich source of antioxidants and essential fatty acids, we have served a huge demand for wheat grass to be used as a dietary supplement. Our offered grass is cultivated under strict supervision by using superior grade winter wheat seeds. 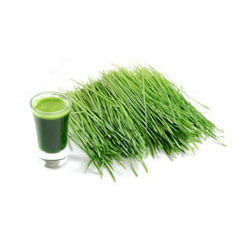 Since our commencement, we are engaged in offering superior quality products which are essential for a good health such as Barley Grass, which is widely appreciated for its high concentration of amino acids, and other vital nutrients. Our offered fresh green shoots are rich source of vitamins and minerals and can be availed at the best price in the market. Our Dehydrated Garlic Powder is widely used in preparation of diverse food items across the globe. The Dehydrated Garlic Powder provided by the company is appreciated amidst the end users for adding a unique taste and aroma to the cuisines.